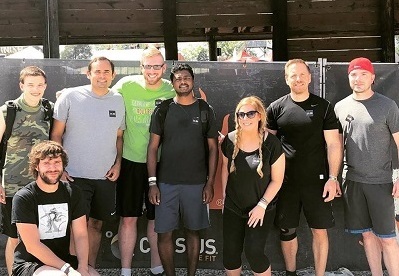 The LashBack team isn’t afraid to get their hands dirty, and on August 11th we sent eleven of our most daring to the Tough Mudder 5K to prove it! Unlike ordinary 5K runs, the Tough Mudder requires teamwork to get through all 10 mud-covered obstacles including the finale—a slick, steep climb before a quick slide into icy waters. Our Mudders helped each other through each obstacle and across the finish line, proving that no matter the challenge we can conquer it together!